We had a pre-thanksgiving treat this week in the form of a visit from my good friend Jenny! She called out of the blue a few weeks ago to ask if she could come and the timing was perfect, we needed a few days off from working through two weekends in a row! 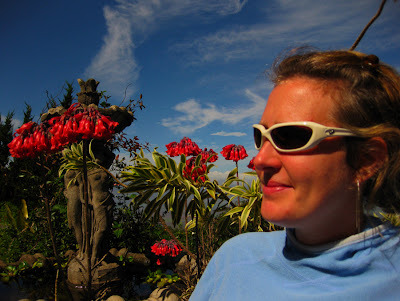 She spent the previous week on Oahu and then stretched out her trip three days with a hop over to the Valley Isle where she ooh'd and ahhh'd at all the sights we managed to squeeze in. 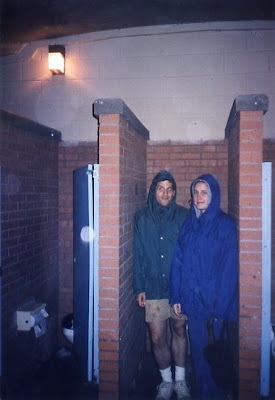 From the lowest of lows: Jenny and I weathering a tornado in a mens' room stall somewhere in Kansas, June 1995. 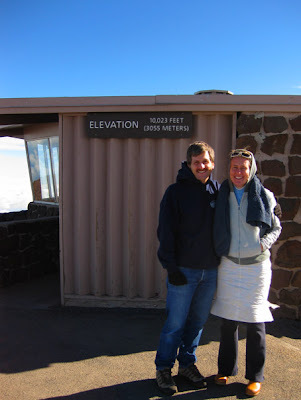 To the highest of highs: 10,023 feet in the air atop Haleakala, Maui, November 2008. Jenny is a friend of mine: Conn and Jenny had never met but became fast friends. 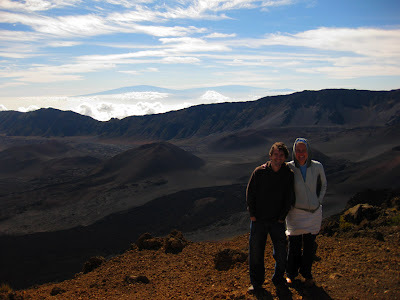 Here, taking in a different vista of the Haleakala crater. Very cold and windy. Down on the farm: Further on down from the summit is the beautiful Ali'i Lavender Farm. We had never seen these succulents bloom before. The little clusters of bell-shaped flowers where an other-worldly red--even more so than this pic shows. Definitely worth the trip. 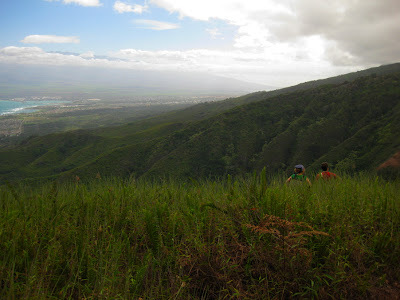 Where the tall grass grows: One of our favorite places to go for a hike in the north west Maui Mountains. 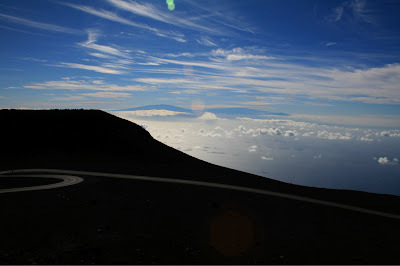 A spectacular view of Kahului harbor and Haleakala. 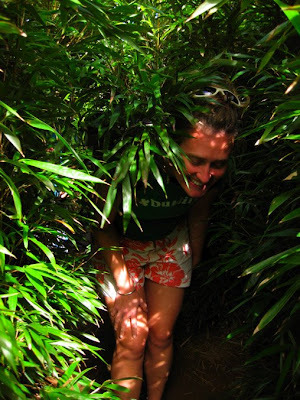 Through the bamboo: This is a fun little hike through thick bamboo that had Jenny thinking we had shrunk and jumped into a rabbit hole. 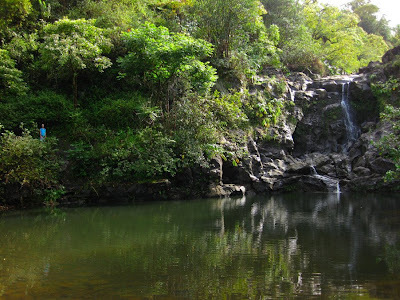 Waterfall's end: The hike through the bamboo ended at this meandering little waterfall. Conn investigated the rest of the trail but we didn't have enough time to scale the rock wall. Gosh, The comments could go in all different directions. Good story non the less! Those red flowers look as though they may eat flesh.